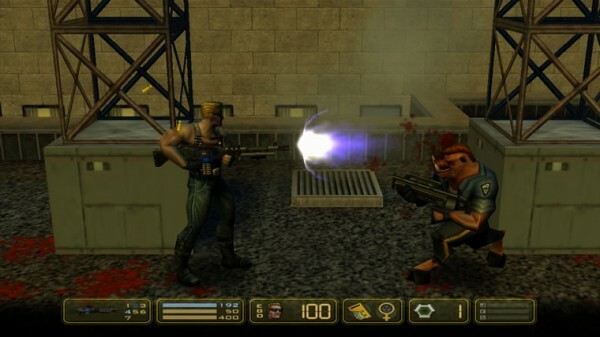 Classic gameplay – From the days of Contra to Metal Slug, run-and-gun shooters always provide plenty of things to shoot at and Manhattan Project is no exception. You’ll encounter plenty of the standard pig cops but luckily Duke has the typical shooter staples: pistols, shotguns and the like. Adding to the fun is the ability to shoot in eight directions, something the now-ancient original Duke Nukem games lacked. It also has a bit of a Metroid flavor in there as well with some exploration in order to find hidden items or babes to rescue. Archaic design – Even with classic gameplay, the design of everything seems like it was meant to be forgotten. Duke’s one-liners aren’t anywhere near funny and his depth of a character show that he was a relic of old character design. The levels feel crowded in with exploration typically being limited to one little room on every rooftop. That’s not much to explore and makes it feel like something out of Commander Keen. Not-so-fun factor – When the goal is to mindlessly blow away enemies it should always be fun; so why isn’t it here? Maybe it’s because it there are better games like this such as Shadow Complex and the frustratingly difficult Hard Corps: Uprising. Those experiences feel meaningful in some way. At the end of the day, Manhattan Project just feels like a shallow and generic ripoff of games out there, just like the series has been doing for the past 12 years. 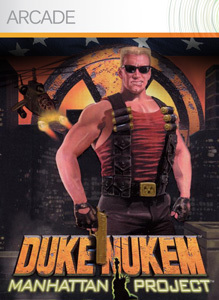 No multiplayer – Now the Duke games in the side-scrolling era didn’t have multiplayer but when Duke went 3D it became a staple of the series. Not including any multiplayer at all, even just a tacked-on 2-player, breaks a lot of potential sales. It could have been a neat new exclusive Xbox Live Arcade feature, but instead they chose keep this a vanilla port. At the end of the day, Duke definitely ran out of bubblegum and pretty much everything else. 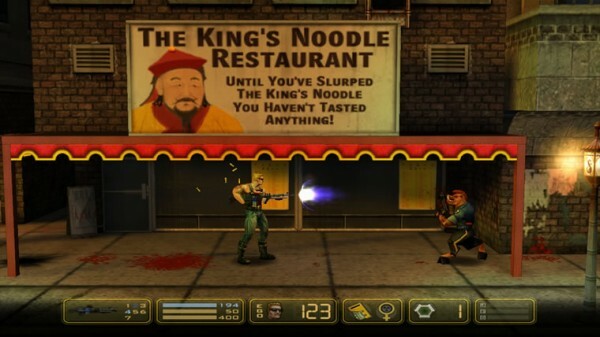 If you absolutely must have a Duke Nukem experience that hearkens back to the old days, just get Duke Nukem 3D and you’ll feel better about it. 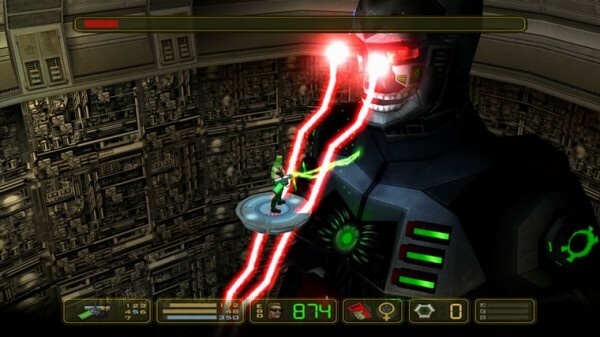 There’s no reason to go back to this game and seems better forgotten so we never have to remember this experience. As often repeated as this sounds, this game is definitely a case of “Fail to the King, baby”. Manhattan Project is an incredibly shallow game; it never pretends to be anything more. That’s something that can turn a lot of folks off, but for those looking for a mindless shooter this one delivers. The problem is that it’s a straight-up port, so anyone looking for extras will find that it comes up short. The 800MSP price point isn’t appealing either. In the end this is either a love it or hate it game. Those looking for nostalgia will find it in spades. Those looking for something on par with Shadow Complex need look elsewhere. It’s worth a trial download to see what the game offers, but this isn’t worth the price. If you like the game wait until it’s on sale. 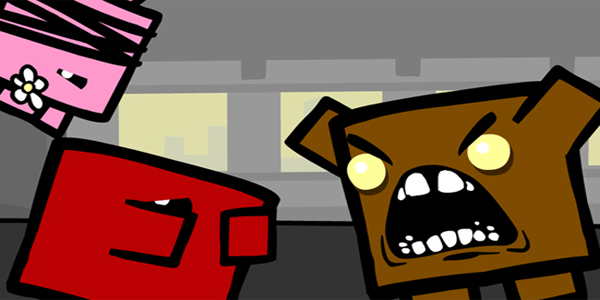 XBLA in review 2011: Are prices increasing? If not why do we think they are?